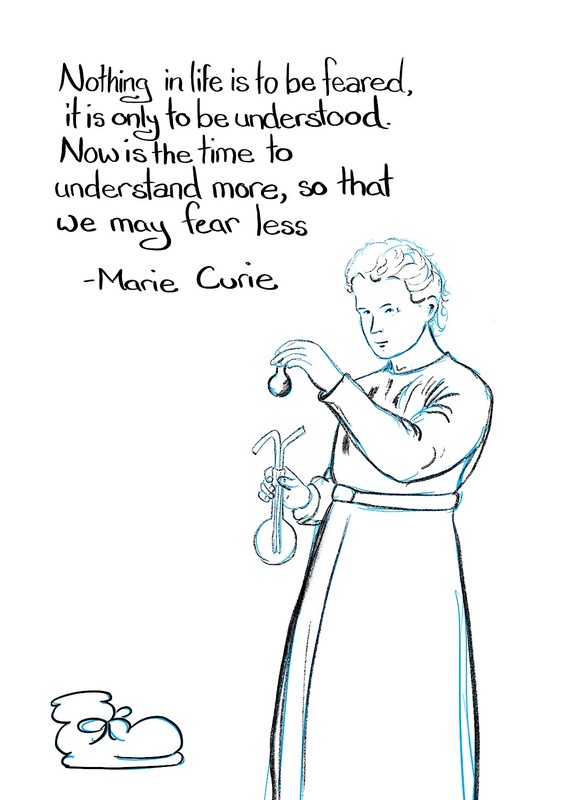 I like that Marie Curie says fear _less_. Understanding is so great for getting past blocks. Sometimes understanding might even be, hello ancient survival mechanism of fight, fight, freeze or fawn, would you like some blood pressure medication? I would like my mind to be clear while I face this scary thing! A steady heart can be handy in days of frayed souls.